MRSA infections can cause a broad range of symptoms depending on the part of the body that is infected. 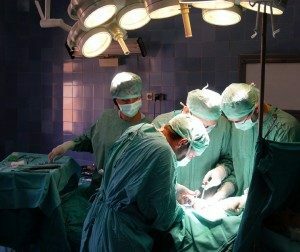 These include: surgical wounds, burns, catheter sites, eye, skin and blood. People who are colonized with MRSA may never develop an infection but have a 8-12 fold greater chance of doing so. MRSA can be acquired by direct contact with an infected or colonized person and contaminated objects. 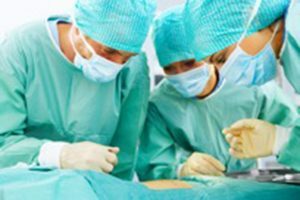 The lack of decontaminating surfaces and environmental cleaning in healthcare facilities has lead to the spread of MRSA and lapses in infection control. 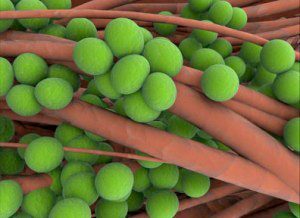 Healthcare-acquired MRSA infections happen frequently in hospitals, rehab facilities, nursing homes and have been increasing in alarming rates for decades. Active detection isolation (ADI) is imperative to reducing MRSA infections along with strict adherence to hand hygiene. Most infections are acquired by contact with a healthcare worker with contaminated hands or equipment. IV antibiotics such as vancomycin is administered. The infection can enter the bloodstream causing sepsis and 25% of patients with sepsis die. Osteomyelitis is an infection of the bone and bone marrow that can destroy the bone and cause deformity or result in amputation if not treated. MRSA osteomyelitis is when the pathogen causing the infection to the bone is identified as MRSA. Osteomyelitis is mostly caused by staph. 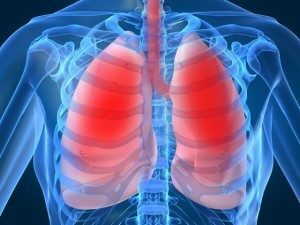 Pneumonia is an inflammation of the lungs, usually caused by an infection, which can be mild to life-threatening. Viruses, fungi, parasites and bacteria can cause pneumonia. If the bacteria are identified as MRSA, then you will have MRSA pneumonia. MRSA pneumonia is highly antibiotic resistant and most common in patients 65 years or older. High risk patient that are at risk for contracting pneumonia are: 65 years and older, possess immune deficiency diseases such as HIV/AIDS, emphysema, diabetes or on an immunosuppressant medication, smoke, abuse alcohol, in an ICU, experienced a surgery or injury, chemical or pollutant exposure, COPD patient, a native Alaskan or an American Indian tribe member. Jeanine Thomas, founder of MRSA Survivors Network receives MITTS Hope Award 2015. 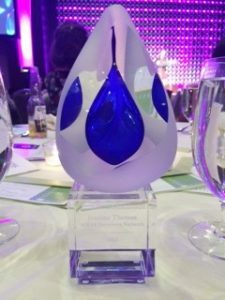 Ms. Thomas received the prestigious MITTS Hope Award from the Boston medical community for her work in helping patients and families with MRSA and also for raising awareness to the ongoing MRSA epidemic. She receive the award during a gala event at the Boston Sheraton on November 9, 2015.